A distinct member of a race of humans born with superpowers, consequently referred to as "Supers", M..
Helen Parr is a fictional superhero, created by Brad Bird for the Pixar franchise The Incredibles. The character is voiced by Holly Hunter in the films and in the Disney Infinity video game franchise, while Elizabeth Daily and Ally Johnson voiced her in The Incredibles video game and Lego The Incredibles. 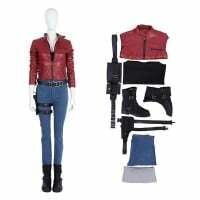 Buy Helen Parr Costume & Elastigirl Costume, We Sell Incredibles 2 Cosplay Costumes all over the world, Fastest Delivery, 24/7 Online Service!